By Roger H Siminoff. 64 pages. A complete technical guide/spiral bound book with an introduction by Chet Atkins. 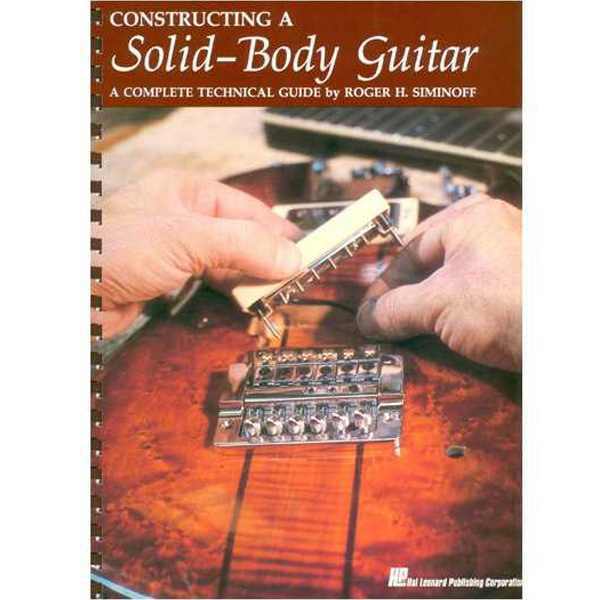 Whether you're a musician or a woodworking enthusiast, you'll thoroughly enjoy Roger Siminoff's book, Constructing A Solid Body Guitar. This 64-page manual uses over 150 photos, several illustrations and four life-size blueprints to assist the reader in choosing the proper luthier materials and tools, as well as using the correct skills and techniques to produce a beautiful handmade guitar that doesn't look handmade at all! Plastic-comb bound.